Teaching: Laid Off? Now What? 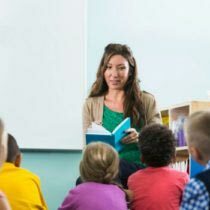 In these uncertain economic times, the very real possibility exists that many teaching jobs may be in jeopardy at the end of this school year. Unfortunately, if your distinct is making big cuts, your excellent performance can’t save you. Often, tenure won’t even save you. So, it’s important to be prepared for the aftermath should the Director of Personnel walk into your room in the middle of your math lesson on fractions and hand you a pink slip or if your principal passes one to you over a box of Kleenex and some Hershey’s kisses (offered as “comfort food”). I’ve developed a pretty thick skin after having suffered two lay-offs from two different districts in two years. And I’d like to pass on some helpful tips I’ve learned for others of you who may be facing a similar fate. 1. Your state’s Department of Labor phone number should immediately be placed first on the speed dial of both your cell phone and landline. Also, add a reminder to your Smartphone so you won’t forget to file your claim each week. As little as we teachers get paid? That unemployment check is smaller. Much smaller. 2. Learn meditation or some other form of relaxation technique. The reasons for this may seem obvious. But when it will really come in handy is after you’ve gone through the Department of Labor’s arduous serious of filing questions so many times you have all 10 of them already memorized but you still have to wait until after a serious of annoying beeps to respond. Twice per question. 4. If you have not done so already, make the janitor your new BFF. Once you’ve done that, he can procure old tater tot boxes for you from the café. These are truly the best packing boxes, and you will need lots of them to gather up the thousands of pounds of teaching materials from your classroom. He can also provide you with a hand truck and maybe even let you pull your car right up to your classroom door to pack it up. Bonus: If you really play your cards right, he might even help you carry your boxes to your car. 5. Unless you live in a mansion, you will need storage space. Lots of it. Consider renting a self storage unit to house your teaching materials. Otherwise, be prepared to give up a room in your house. Until you have to pack it all up you just don’t realize how much junk you’ve really acquired. Truth is, you’ve become a packrat. All those books, manipulatives, chart stands, bookshelves, plastic drawers from Target, and baskets from Really Good Stuff you’ve bought over the years? They all add up, and they are going to need a new home. 6. Be aware that your spouse may not appreciate your home being used as a storage facility. Be prepared. Rehearse this line and be at the ready to say it indignantly, “This is NOT junk, and NO, I cannot consider getting rid of some of it.” Then consider storming off in a huff. The topic won’t be brought up again. 7. When you pack, your lesson plan binders go in the box at the top and front of the stacks of stored materials. This way they are accessible for those impromptu interview opportunities. The ones where you get a call from a principal who wants you to come in the next day at 9:00 am with a 20 minute Reader’s Workshop lesson exploring the concept of narrative point of view and voice in a piece of fiction by Kevin Henkes. 8. No, you will not remember what you put in box #43. LABEL. LABEL. LABEL. EVERYTHING! 9. Be creative in your job search. Keep in touch with old colleagues, volunteer at your child’s school. While you’re there be on the lookout for pregnant teachers and talk up the virtues of being a stay at home mom. Pregnant teachers = Long Term Sub Opportunities which could turn into Full Time Jobs if those teachers decide to stay home. At the very least you can get your foot in the door. 10. Let’s face it. Unemployment stinks. It’s demoralizing, and it’s hard work keeping your name out there hunting for job openings. But it doesn’t have to be the end of the world. You can use it as an opportunity to do things you’ve never had time for before: walk your child to the bus stop, take a yoga class, volunteer, revel in the solace quiet can bring, schedule vet appointments at 10:00 am, and maybe even find a new career path doing something else you love. Keep your options open. You just never know when something will fall into your lap when you least expect it. After all, that’s how I ended up here. These are all really great tips! I’m a new teacher, teaching in a resource room, and I’m only contracted one year at a time. Every year is essentially a layoff, until they can figure out if they can rehire me.. or until I can find a classroom of my own. All very applicable. Thanks for the great advice!!! I hope that this doesnt happen but you never know!! Great advice….that I hope I will never need. I appreciate you sharing this. Good advice for any who are facing layoff this year! Thanks for the timely tips! Great advice! The only other thing I would add is make sure to have a variety of things for different grade levels. When I was looking for another position I can’t tell you how much I had wished I had a variety of materials rather than every teacher book for third grade. I ended up getting a fourth grade position and while it wasn’t too much of a difference I still needed to buy things!! This is great advice! With the economy in the shape it’s in, there are no secure jobs anymore!! I also agree with making the custodian your friend. But, I feel that all of the staff should be…they always know what is going on in the school!! This is a great article, and I say “ditto” to every one of those points, as I have been laid off 2x in 4 years. My best piece of job-hunting advice is to physically walk in your resume packet to the Human Resources/Hiring department. It will make you stand out from the rest of the applicants immediately. Also, be prepared to do a demo lesson if you make it past the first round (portfolios are passe, unless they are “digital”). Great advice, especially about making the custodian your best friend! That has helped me out in the past greatly! The school secretary is another valuable resource, it’s always a good idea to stay on the good side of the secretary, no matter how crabby they are. I thought I’d be a stay at home mom forever and cleaned out all my teacher stuff because it was taking up room in the basement, big mistake! I’m now back at work and hitting garage sales to re-stock what I gave away.